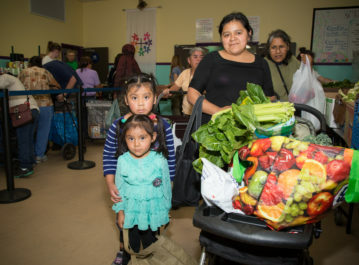 To address the causes of food insecurity and poor nutrition for impoverished residents living within our service area, St. Francis Center has enacted a free “clients’ choice” program in which guests get the opportunity to “shop” weekly for an average of 45 pounds of nutritious groceries based on food preferences and dietary restrictions. Registered guests get to choose from a variety of items, including fresh fruits, vegetables, meat, dairy, rice, beans, and canned food. All items are presorted and organized by volunteers on shelves to replicate the grocery store shopping experience. 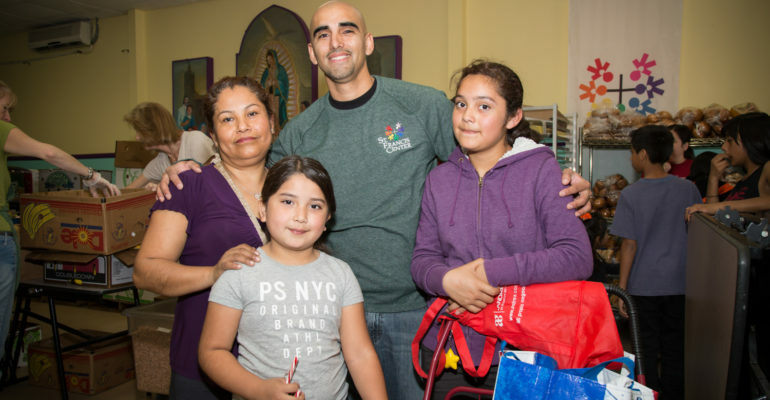 The majority of the food and goods utilized in the program is donated by the Los Angeles Regional Food Bank, Food Finders, Costco, Target and Lucky Supermarkets. St. Francis Center provides services to residents living in the following zip codes: 90011, 90220, 90222, 90223, 90224, 90006, 90007, 90013, 90014, 90015, 90017, 90021, 90057. If you are not within these zip codes you may receive services as a referral guest*. 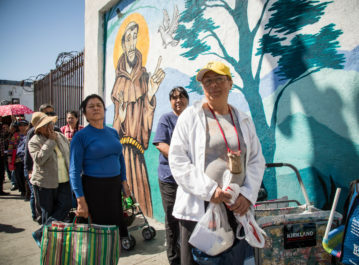 SFC also now offers pantry services weekly at two satellite pantries at L.A. Trade Tech College and in South L.A. where there is a lack of access to fresh, nutritious food. *Referral guests must be active in case management and provide proof from a local agency partners, including schools, hospitals, government service agencies, and other nonprofits. Upon their initial visit guests will receive an emergency food bag excluding fresh produce. Once registered, guests will receive a pantry card that is valid for one calendar year from Jan 1-Dec 31. Through our Senior Services, we provide our guests age 60 and over a warm meal once a week and socially enriching activities such as Bingo and Zumba. Our seniors come to St. Francis Center for much more than food; they also come to socialize with their peers. For many of our older guests, this program is the only social activity they will enjoy all week long. Seniors are served every Friday 11:00am-1:00pm. The resource specialist also assists families and individuals in short-term crises such as unlawful eviction. Future services will include workshops to connect guests to public benefits, affordable housing, affordable health care, job training programs, and community organizing around a common concern. 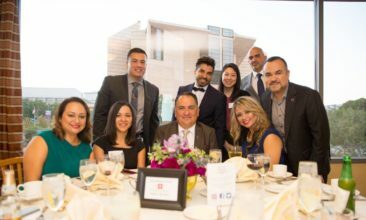 SFC has aligned with Mayor Garcetti’s efforts to end veterans’ homelessness in Los Angeles. Specifically, we now extend the opportunity for veterans to utilize both our homeless served meal program and our Pantry Services making it easier to transition from homelessness.